I wanted to put an apostrophe before that s. It’s probably right not to, but it feels wrong. 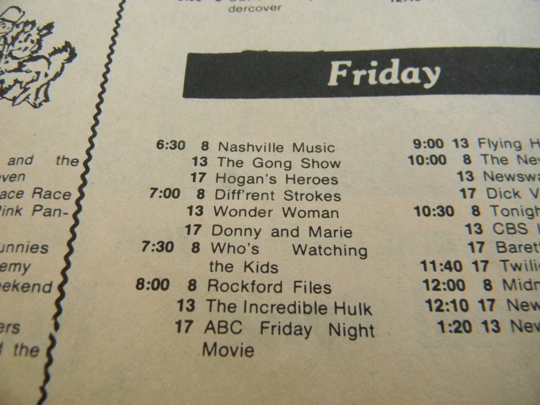 Lloyd spent part of last weekend going through boxes of photos and newspaper articles from his grandma and aunt to put on the Sommerer Family website, and this little scrap of treasure was caught my eye – a week’s worth of ABC programming! Remember these days? When the whole week could fit on a newspaper page? We weren’t some high-falootin’ family who had a TV Guide magazine, but I remember the newspaper had something like this. I expected to recognize the cartoons best of all, but I don’t. What year is this from? Rats. I didn’t get a picture of the date, and it’s boxed up now, but I think it was 1978. 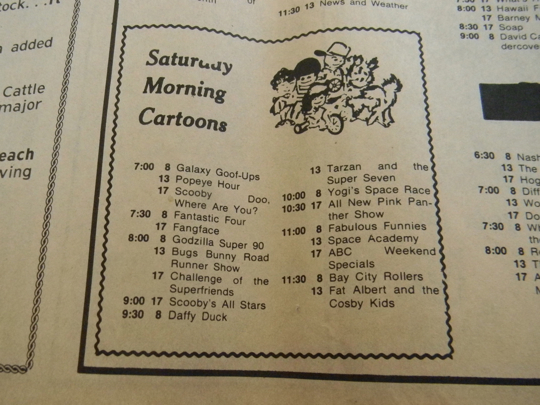 I didn’t recognize some cartoons, either, but since this was ABC, maybe I was a CBS fan. Hey, hey, hey! It’s FAAAAAAT Albert! Scooby Dooby Doo -- Where are you? You’ve got some work to do now. Thanks for the throw-back to my childhood days. TV was so much easier: ABC, CBS, and NBC. Oh my. I’m now a grandmothers age. I recognize just about every single one. 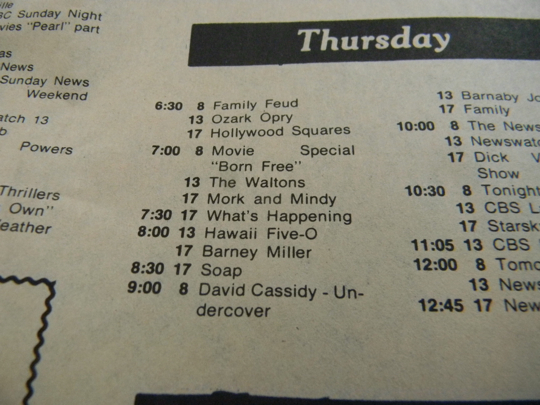 I used to really like Barney Miller & Soap. And Mork & Mindy. But my favorite was Soap.